MOMBASA, Kenya - Suspected militants from the Somali group al Shabaab beheaded four men in two different attacks in Lamu County on Kenya's north coast on Wednesday, authorities said, a month after 12 people were killed in similar incidents in the region. Lamu County Commissioner Gilbert Kitiyo said the attacks took place in Silini-Mashambani early on Wednesday where three were killed, while in a separate incident in Bobo village one person was killed. Kitiyo said about 30 heavily-armed assailants went from house-to-house calling out victims by name before pulling some out and slitting their throats. "They were dressed in military gear and had AK-47 rifles. They beheaded four men before fleeing into the forest. All the victims are men. Police have already arrived at the scene and taken the bodies to the mortuary," Kitiyo told Reuters by telephone. He said the attackers surrounded all the victims' houses making it difficult for them to escape. 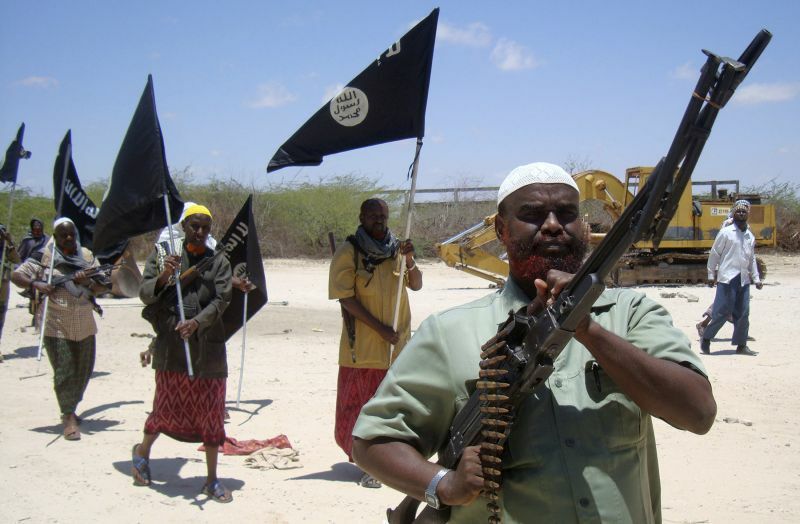 Abdiasis Abu Musab, al Shabaab's spokesman for military operations, said the group was behind the attack, and put the number of those killed at five, saying it had targeted non-Muslims. In August, al Shabaab attackers killed four men in a similar manner while earlier in July, nine men were slaughtered the same way in nearby villages. After the latest attacks, protesters burned tires on the roads on Wednesday morning in complaint over insecurity. Riot police to fire teargas and rubber bullets to disperse them. A government-imposed dusk-to-dawn curfew is in force in the area following past attacks. The al Qaeda-linked al Shabaab aims to topple Somalia's United Nations-backed government and impose its own strict interpretation of Islam. They have intensified attacks in Kenya since it sent troops into Somalia in 2011. They have also claimed responsibility for a series of cross-border attacks in recent months, including a spate of roadside bombings targeting security forces.